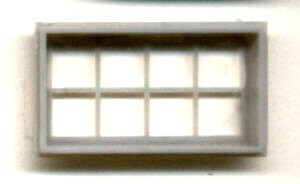 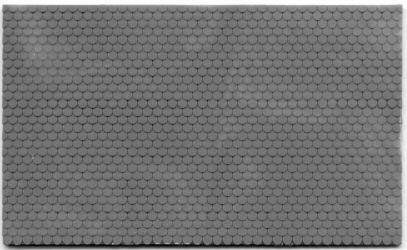 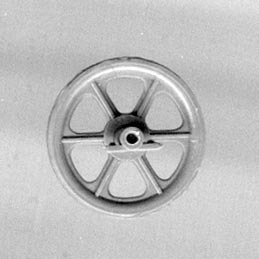 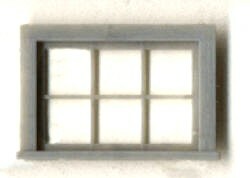 Sold by individual pieces. 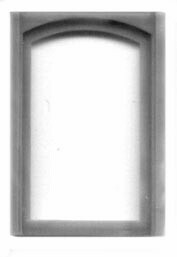 Order only the amount that you need. 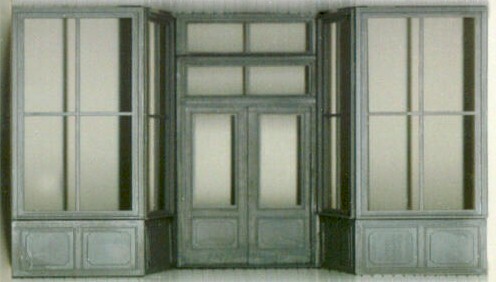 Grandt-Line Products is now closed but has been sold. 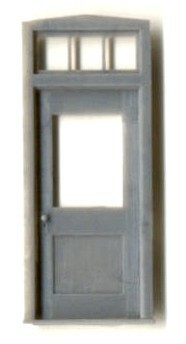 It is unknown when the new company will be available. 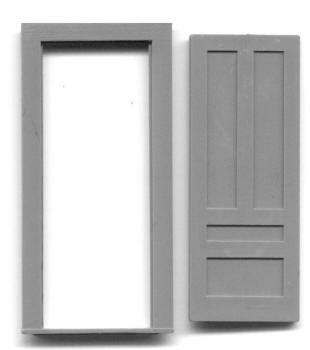 Sizes listed on doors are the opening size that they fit into. 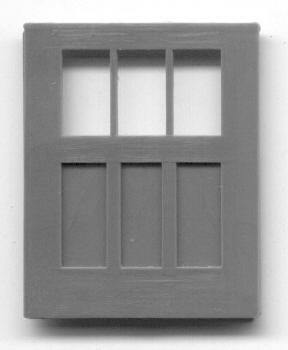 They may vary slightly to actual product size. 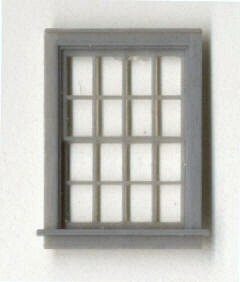 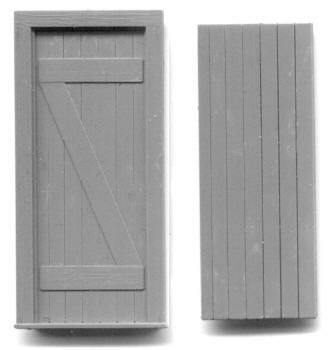 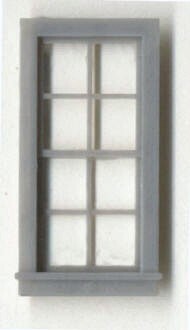 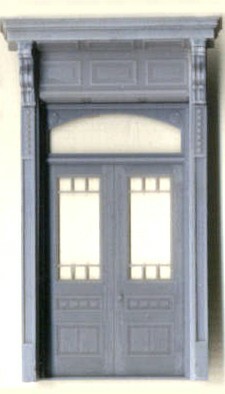 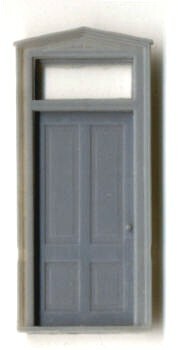 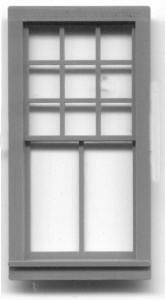 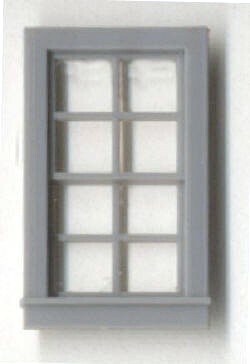 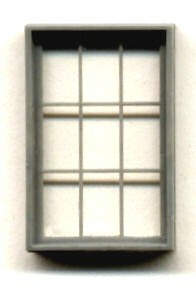 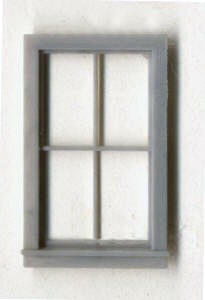 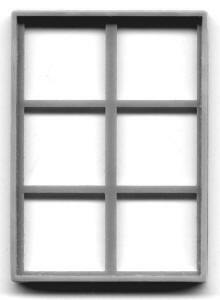 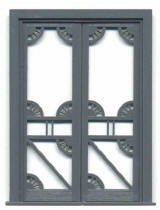 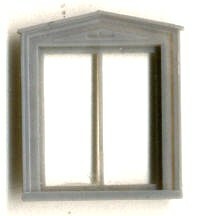 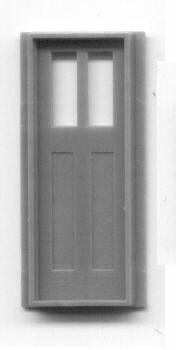 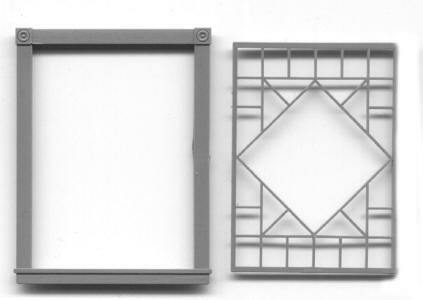 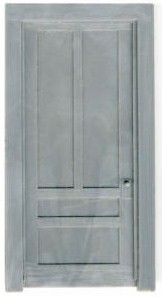 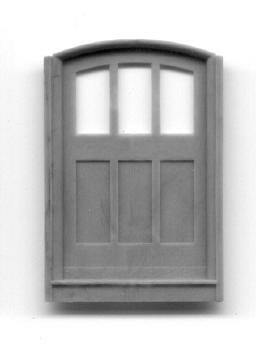 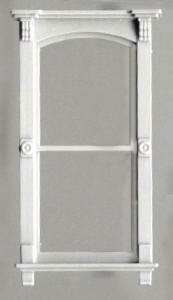 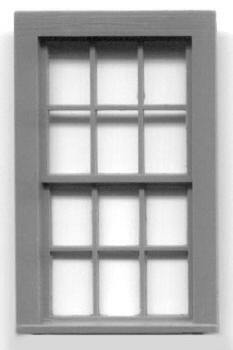 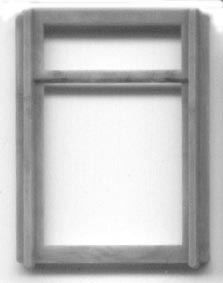 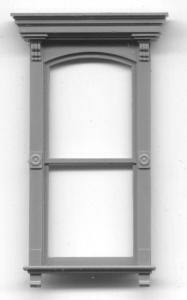 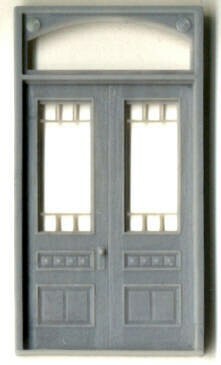 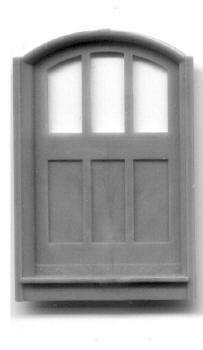 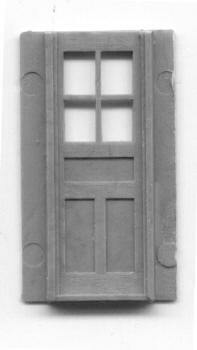 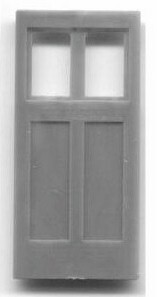 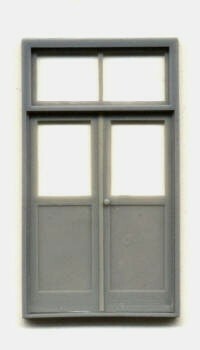 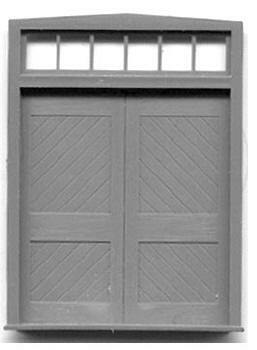 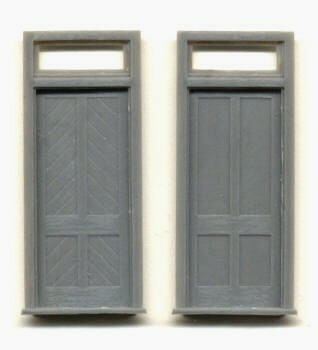 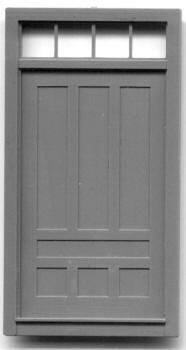 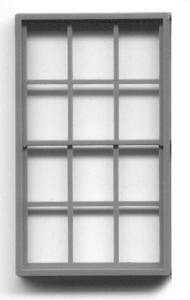 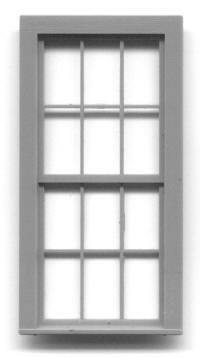 3/4" Wide tall x 1-11/16"
Removable window 3 hinges, set includes one door and hinges. 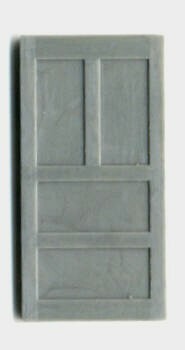 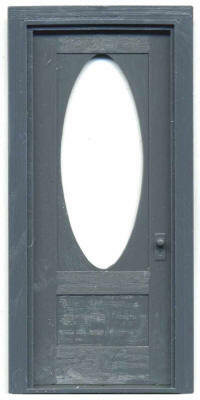 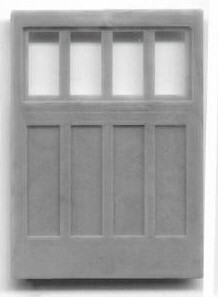 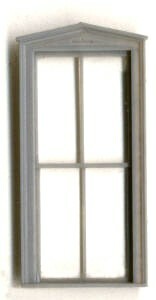 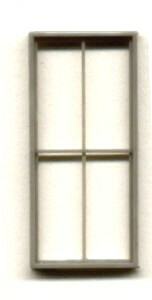 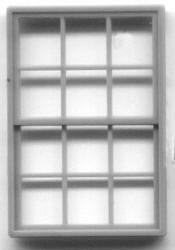 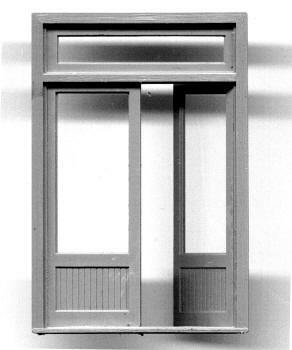 2-Panel, 4-Lite door w/3-Lite Transom Masonry frame. 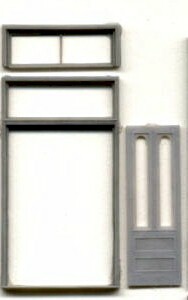 Sizes listed on windows are the opening size that they fit into. 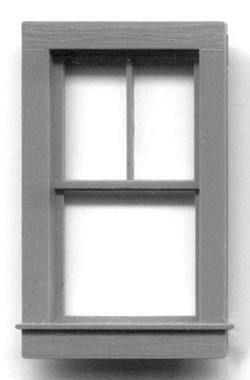 TIP: If the windows break, carefully snap them back together. 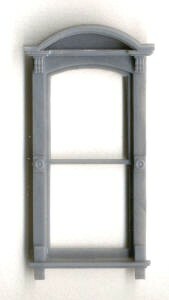 Do not glue. 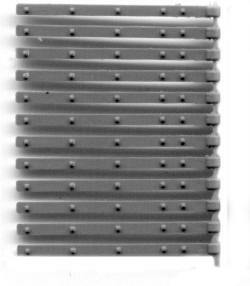 If you are careful, you can still use them. 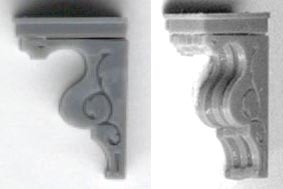 Gluing makes blobs and looks worse than just snapping back into place. 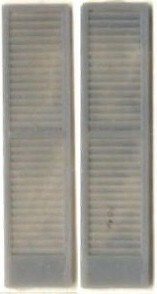 $1.98 ea No longer available. 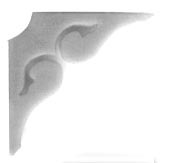 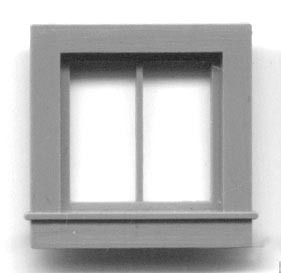 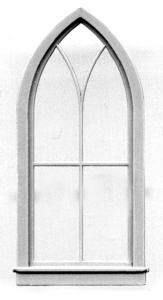 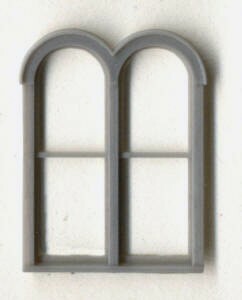 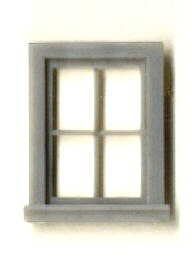 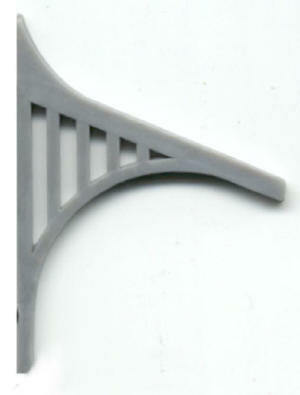 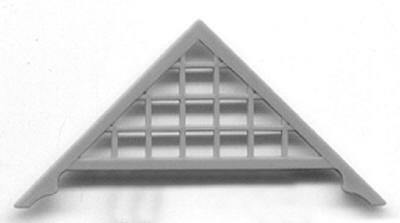 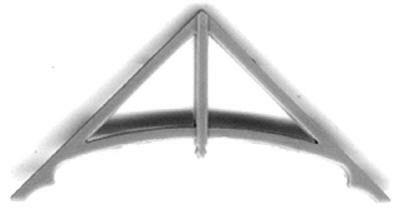 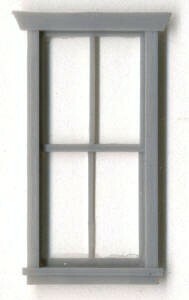 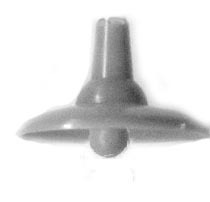 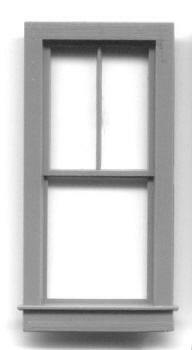 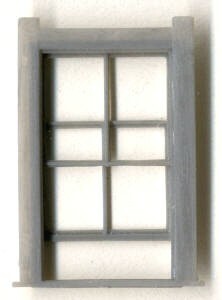 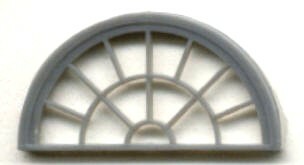 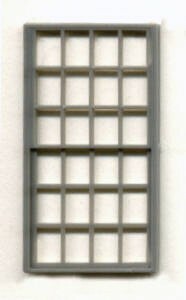 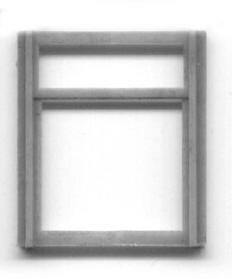 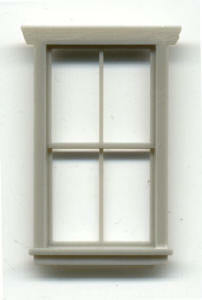 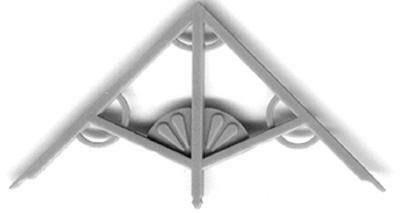 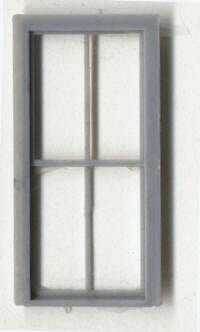 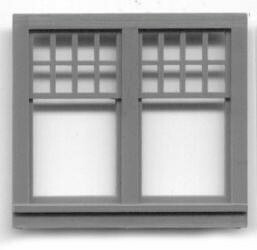 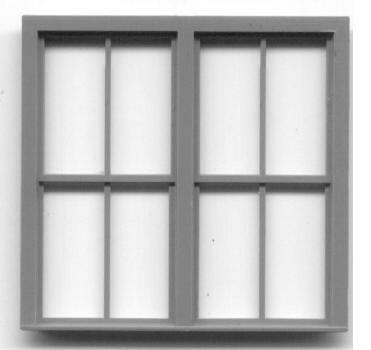 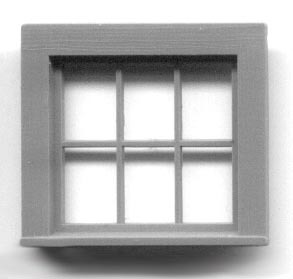 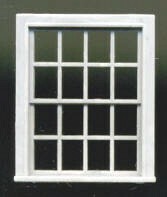 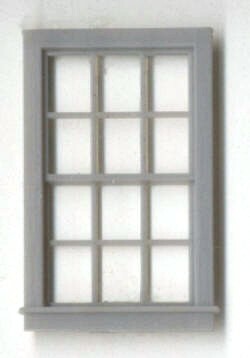 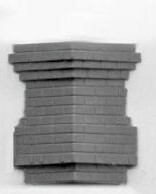 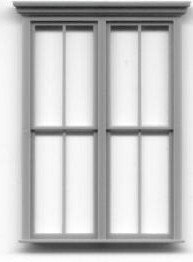 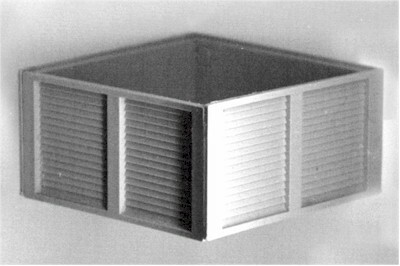 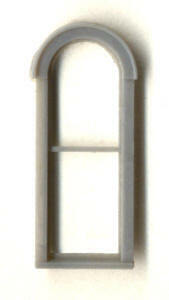 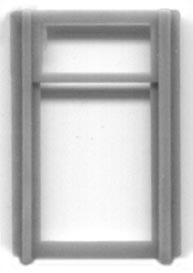 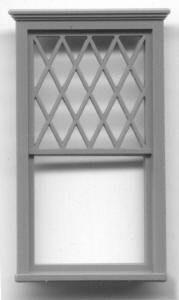 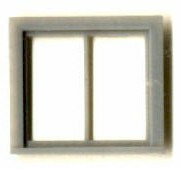 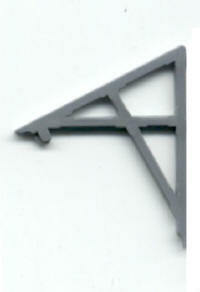 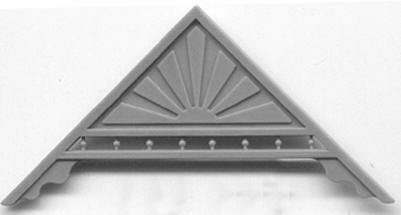 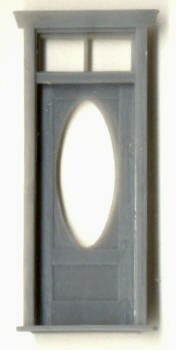 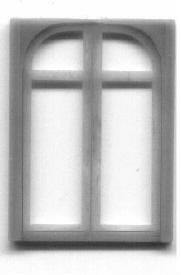 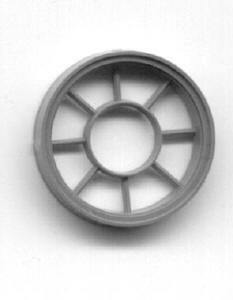 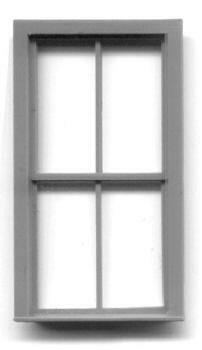 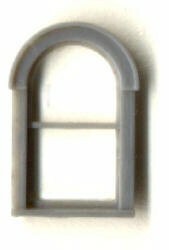 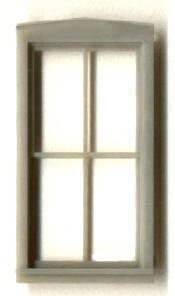 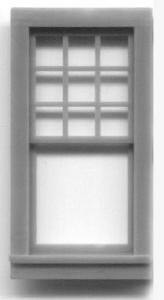 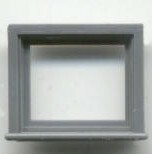 Double 1-1/8" wide x 1"
Single 9/16" wide x 1"
TIP: On the shaped windows, buy two for each opening. 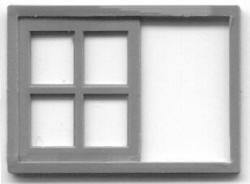 Then sand the back off of one, install thin plastic between for glass and use the flat one for the interior window frame. 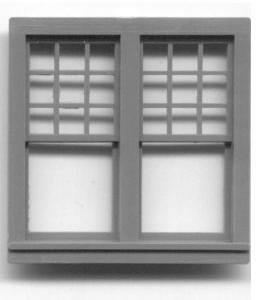 It gives the window a nice "finished" look. 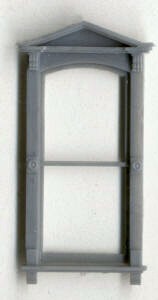 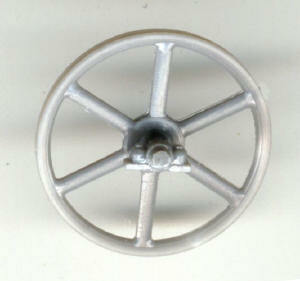 3525 Cable Sheave - 34" dia. 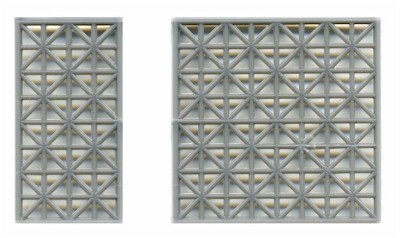 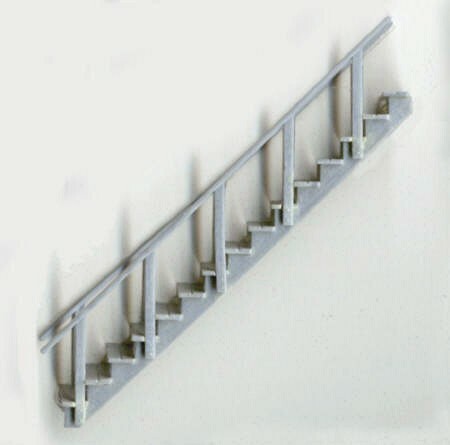 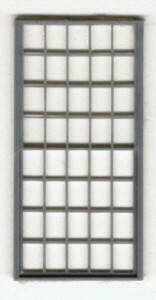 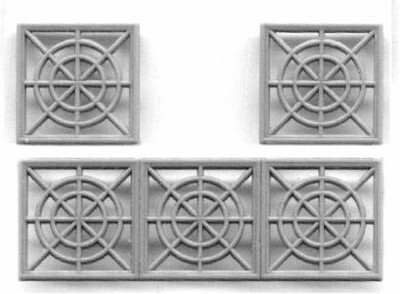 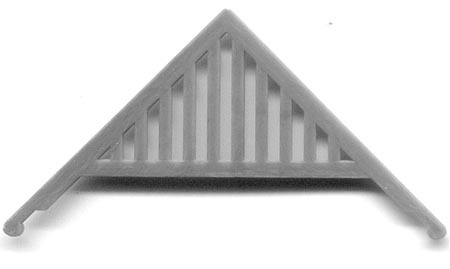 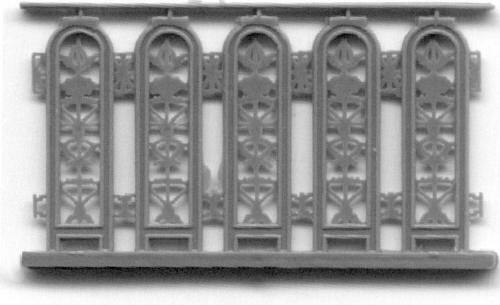 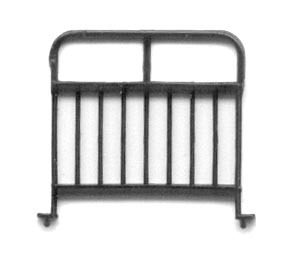 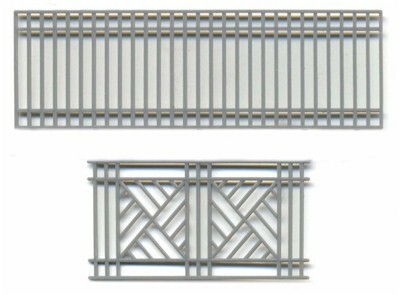 1/8" x 9/16" x 3/8"
length of stair runner: 4"
height of stair rail: 15/16"
overall height of stair assembly, excluding railing: 1-7/8" width of tread: 3/4"
1/8" x 3" x 1/16"
6 pots, 1/8", 3/16", 1/4"
Discontinued and can't get once these are gone. 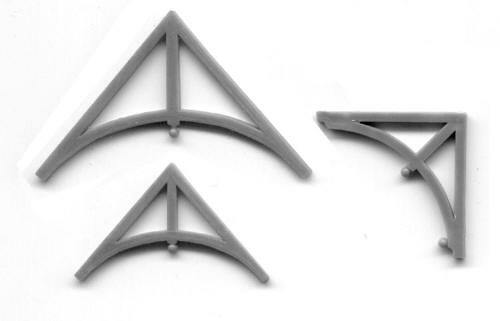 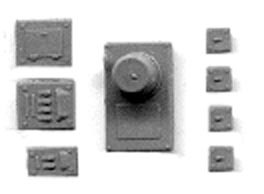 PAINTING SUGGESTIONS: These are made in dark brown plastic. 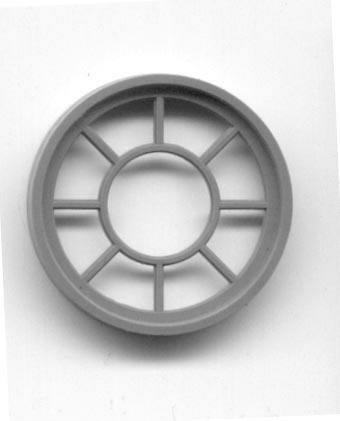 The features are molded into the pieces, raised slightly from the body of the cookies. 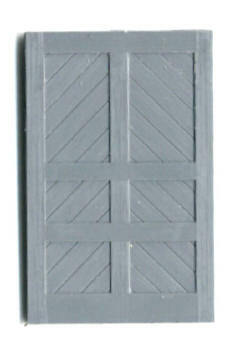 To paint, spray paint the cookies with a light coat of white paint. 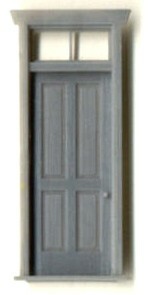 When dry, float diluted brown acrylic paint onto the cookie. 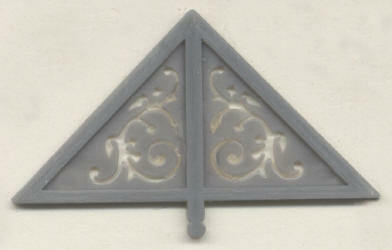 When this is dry, (or nearly dry) use the tip of a round toothpick to lightly scrape the brown paint from the features, exposing the previous coat of white. 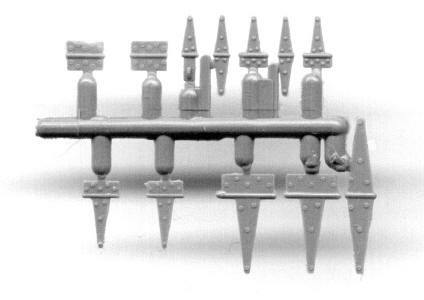 This seems to work well...even on the tiniest guys.